In the spring of 1998, Austin Bat Boys' founder Ted Burton placed an personal ad in the Austin Chronicle, searching for gay softball players interested in forming a competitive team. The Bat Boys made history on May 24, 1998, when they took the field as Austin's first competitive gay softball team. The Bat Boys have been competing in Austin's City Softball League ever since. Approximately 40 men, both straight and gay, have played for the Austin Bat Boys during their history, helping build one of the most successful gay men's team in any sport in the city's history. During Texas Gay Pride of 2001 the Bat Boys had a table to gather information on those who were interested in playing or forming another team. In June 2001 David Derbonne formed the "Austin Hornets" and took the field for the first time, playing on tuesday nights. The two teams sometimes needed to share players to maintain a full roster. Spring of 2002 brought along Jeremy Wasinger. He formed "The Big Bad Woofs" and joined the Austin Bat Boys in city league on Thursday nights. The tough league was a challenge but the Woofs improved and became a competitive group. In 2003, the Woofs returned for their 2nd year and went to Houston's Lonestar Classic Tournament and finished with 2nd place in the D Division. The Summer of 2003 brought many exciting changes with the addition of Cruz and his team, the "Southern Stars". Their addition meant that we were making progress toward our own league! Two more teams, the Austin Thunder and Shockers, joined the group and now we finally had enough teams to have our first League night. In October 2003, the Austin Bat Boys challenged the morning sports jockeys at KVET 1300 "The Zone" to a charity game after anchors Bucky Godboltz and Erin Hogan announced on the air that gay men can't play softball. For weeks, Bucky and Erin promoted the game and doubted the athletic abilities of gay men. They challenged listeners to show up and help them defend their "straighthood" and downplayed the Bat Boys' promise of bringing more fans to the game. "The Zone" boys were shocked when 1,000 screaming fans showed up at Krieg Fields on a Sunday night to support the Bat Boys. Police were called out to help with crowd and traffic control. An all-star KVET team, which included listeners recruited during weeks of on-air promotions, was simply no match for the Bat Boys. The Bat Boys blasted KVET 14-4 and raised nearly $2,000 for charity. KVET immediately called for a rematch. November of 2003 brought about the first championship night, with the Stars and Thunder playing and the Big Bad Woofs playing the Shockers for the championship. The Shockers won the first multi-team championship... a precursor to Softball Austin. 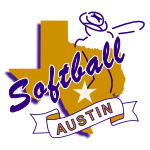 Softball Austin officially formed in October of 2004 with Ted Burton being elected as the first commissioner of the league. The inaugural game was highlighted by Travis County Sheriff Margo Frasier throwing the first pitch. The new league welcomed several new teams and many new players when Debbie Barrera brought her team "The Mullets" from the city league to join Softball Austin. Another team, "The Sting", was formed by Bat Boys' pitcher Richard Benevidez along with the formation of "The Other Team", "The Peppermint Patties", "MPS Closers" to round out a very competitive D-Division. The Thunder, Woofs, Shockers, and Stars competed in the C-Division with the Bat Boys as the lone B-Division team. Spring 2005 brought the addition of 2 more teams, the dissolution and regrouping of others, and some team skill level changes as our league continued to grow, now with twelve teams. The first D-Division championship ended in a 3-way tie while the C-Division was won by the Stars. The league also was accepted as a member of NAGAAA (National American Gay Amateur Athletic Alliance) during the spring and held our first sanctioned tournament during the Labor Day weekend. The first "Texas Shootout" was a great success as 20 teams from throughout Texas and Oklahoma competed. Austin Thunder finished 3rd in the C-Division of the tournament. In the fall another team, "The Austin Power" coached by Ram Rangel of the Bat Boys made it's appearance. The league continued to develop competitive rivalries as teams' skill levels increased. A team sponsored by Rain on 4th Nightclub began play in the C-Division and competed well in spite of being a completely new team. In all, the league fielded seven D-Divsion teams, four C-Division teams, while the stalwart Bat Boy's continued as our only B-Division team. Kat'z All-Nighters (formerly The Sting) won the D-Divsion with an undefeated 12-0 record, and the Wranglers won the C-Division championship. In 2006 the league Board of Directors authorized a playoff for the C and D Divisions. The playoff champion would receive an automatic bid to the NAGAAA World Series in Fort Lauderdale, Florida. 2006 also brought an updated Softball Austin website that kept our teams, players, and fans up-to-date on all Softball Austin activities. The MPS Closers won the regular season D-Division championship but in the League Playoff the Katz's All-Nighters took home the first place trophy and the automatic bid to Fort Lauderdale. The C-Division Austin Thunder won their second championship. The league had strong showings in various tournaments during the spring and summer culminating with the Bat Boys and All-Nighters making the trip to Fort Lauderdale in July. The fall season saw the addition of new teams to the C and D Divisions. In 2016 Softball Austin, along with the help of the City of Austin, hosted over 5000 players and fans for the 2016 NAGAAA Gay Softball World Series. This week long tournament is where NAGAAA member cities sent their best teams to compete and see who is the best in the in the nation. During this week, Austin was hit with heavy rainstorms that flooded the fields. Through the dedication of the member cities and Austin, volunteers help restore the fields each day to make them playable. This hard work did not go unnoticed. The GSWS was able to be completed. and this same year, the Austin Chronicle named Softball Austin "The Best LGBTQ Sports League."